Update: Super Early Bird tickets are sold out! Early Bird tickets are still available. Act now to get the best price. Update 2: Please note new dates, September 9-10. The Space Studies Institute (SSI) is pleased to announce the date and location for its 2019 conference. 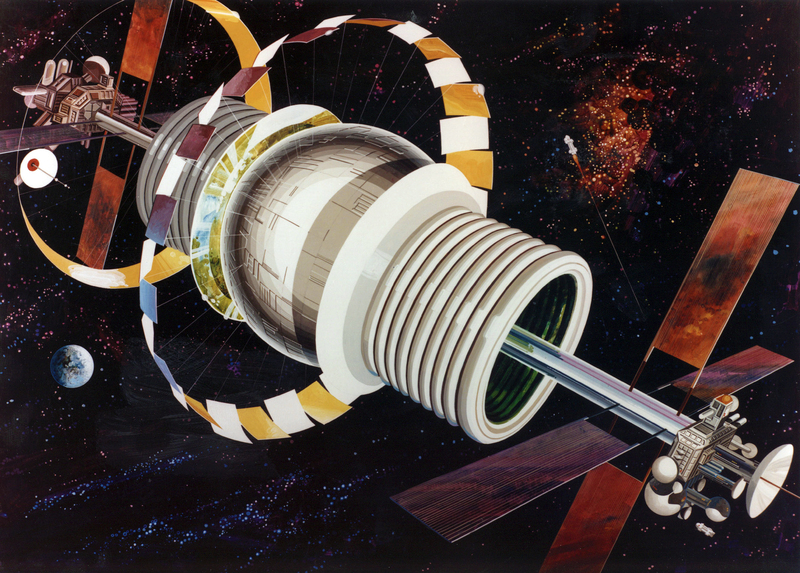 Make your plans now to attend SSI 50: The Space Settlement Enterprise September 9 and 10 July 15 and 16 at the renowned Museum of Flight in Seattle, Washington. Tickets are on sale now at https://ssi50.eventbrite.com, with a limited number of Early Bird and Super Early Bird tickets at greatly discounted prices. As soon as those tickets sell out, prices will go up. The conference is timed to coincide with the 50th anniversary of the Apollo 11 lunar mission, which launched from Kennedy Space Center on July 16, 1969. After careful study and consideration, O’Neill came to a remarkable conclusion: It was possible to build large space habitats, each housing more than a million people, using materials readily available from the Moon or asteroids. A fleet of such habitats could house more people than are currently living on the surface of the Earth. As a first step, O’Neill conceived a smaller habitat, called Island One, capable of housing 10,000 people. The residents of the Island One habitat could build solar power stations that would supply clean electrical power to the surface of the Earth. Prof. O’Neill authored a best-selling book, The High Frontier: Human Colonies in Space, and founded the Space Studies Institute to promote and develop his High Frontier vision. Now SSI is preparing for a dramatic reboot of Professor O’Neill’s research program. The SSI 50 conference marks the start of a multi-year effort to reevaluate the High Frontier vision in light of new technology and the emerging commercial space industry. Habitats and Facilities: What do we want to build? Construction: How do we build it? Resources: Where and how do we get the materials? Transport: How do we get there? Life in Space: How do we survive there? Economics: How do we pay for it? We have structured the event to allow plenty of time for questions and audience interaction. The questions developed at this conference will inform SSI’s research programs over the next few years. In addition, we’ve arranged for two gourmet luncheons catered by McCormick and Schmick’s. These luncheons will provide a great opportunity for networking and informal discussion of the day’s topics. Luncheon tickets are limited. We strongly recommend that conference attendees take advantage of the luncheon option, but the museum has two excellent cafes that are available if luncheon tickets sell out. We look forward to seeing you in Seattle.